Find purpose. Design space. Create warmth and tradition. Express emotion. Find wonder. each individual sees fit for their lifestyle. I love the enchanting spell Christmas casts on each of us every December. Decorating for Christmas seems to be the icing on the cake for creating traditions and space for our families to enjoy the wonder of the holiday season. At Gatherhaus we value living a prudent lifestyle. We value a lifestyle that strives to avoid unnecessary stress and expectations, or that puts you in debt to create the life you long for. I live in a home that is almost 100 years old steeped in original woodwork and charm. We love decorating in a very historic and traditional style for Christmas. We buy a Charlie Brown tree that is small and empty so it fits in the corner of our cozy family room. 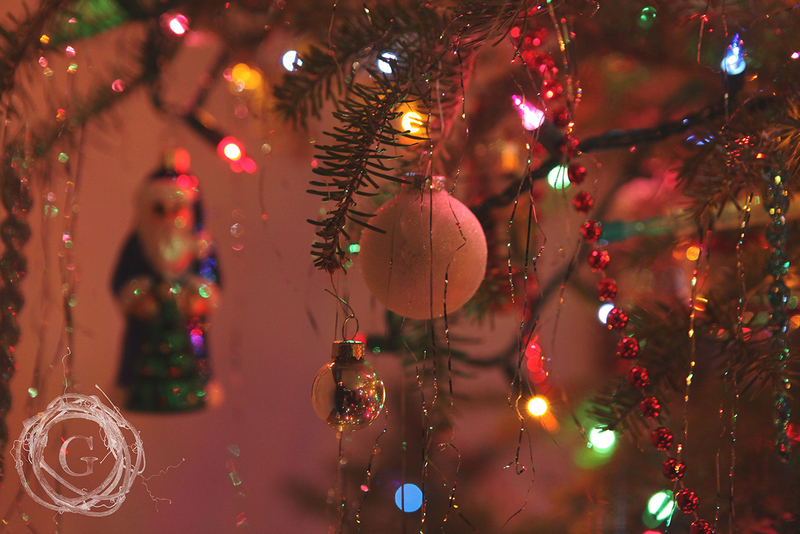 We take time to pull out all of our families childhood ornaments, bulbs and tinsel that came over from Germany and have been in the family for generations. 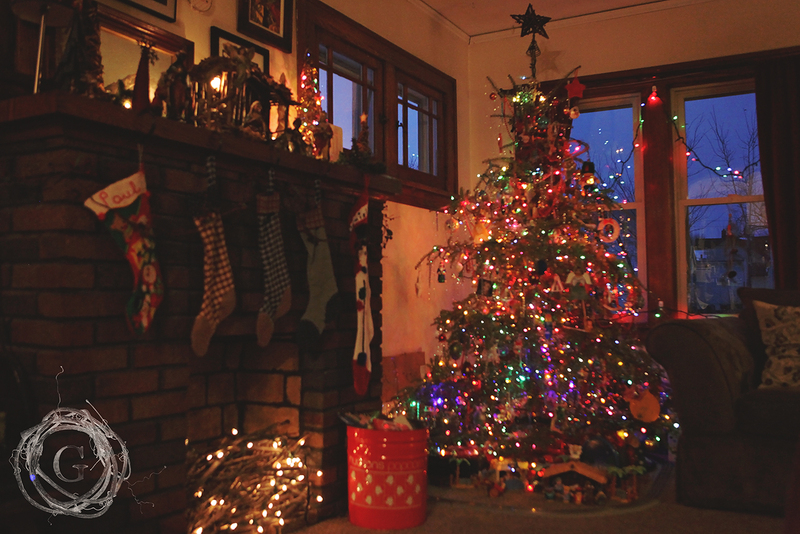 Our tree drips in heritage and light, being the centerpiece and main attraction in our home. Every year we cut branches from the tree, or collect the discarded ones from the Tree Lot and hang them in every window. 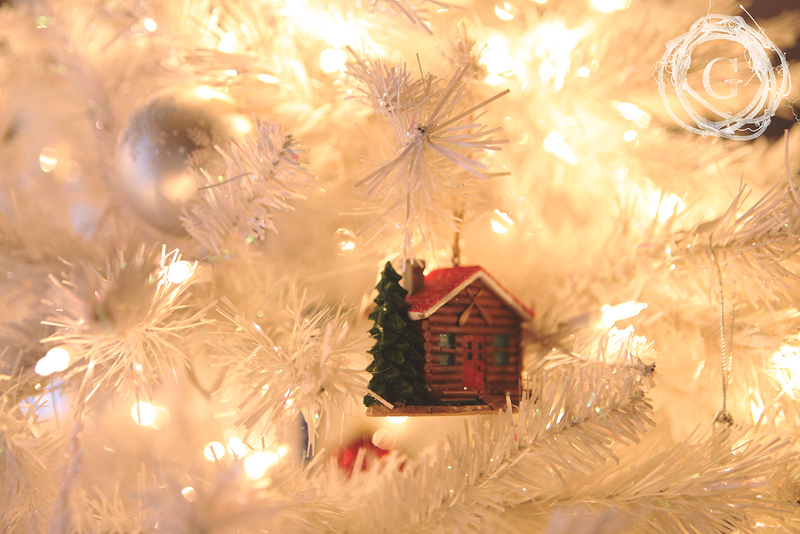 It brings more natural elements in, the scent of pine, and sprinkles Christmas charm all throughout the house. I hold onto the ribbons and bells to reuse each year. I also love that I don’t have to store garlands in bins that take up space, because they are real branches that get composted after the holiday. It is a traditional red and green Christmas in our historic home. We hang homemade stockings by our fireplace. A selection of Christmas books sits in a bright red tin by the Christmas tree for special reading time by the glow of its lights. 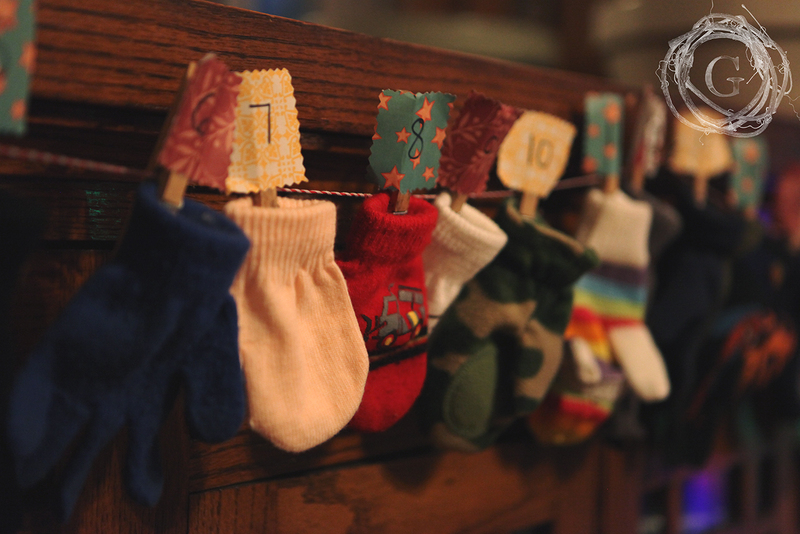 A collection of discarded and lost mittens hang by clothespins offering sweet treats and special prizes as our advent to counting down to Christmas. Something special happens when you dig through boxes and create treasures and decorations from items that have been hidden away. 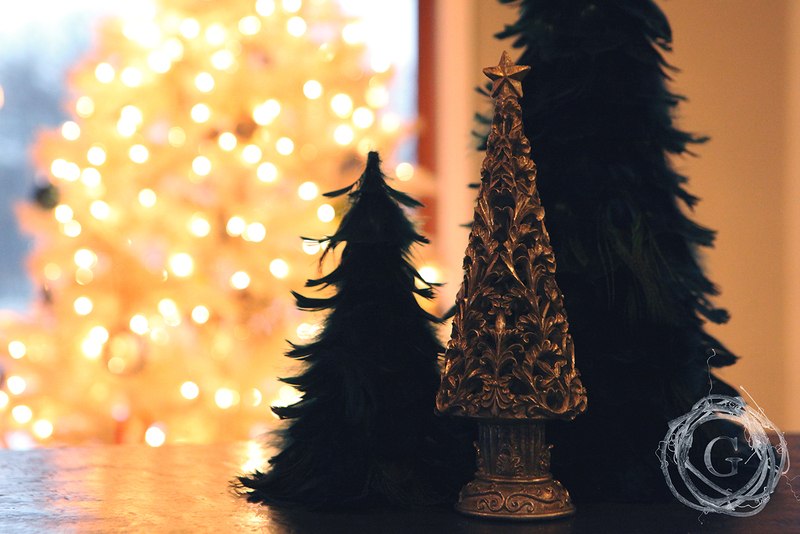 We love sprinkling a little of bit of Christmas magic throughout every room in our home. If fills our hearts with joy to know that Christmas is coming. Simple doesn’t have to be stark. It is founded in intentional choices. It is important to note that it is not the style you use to create the warmth and charm for Christmas time. We have a traditional style to enhance the beauty of our home. However, a minimalist and very untraditional style can still carry the values of being prudent and simple. Katrina’s home boasts a white tree and garland that enhances her industrial farmhouse aesthetic. The color white creates a clean and simple feeling. It is so far from traditional, and yet, it evokes the same warmth and charm of Christmas. It is the foundation that you can embellish with color or stands beautifully on its own. 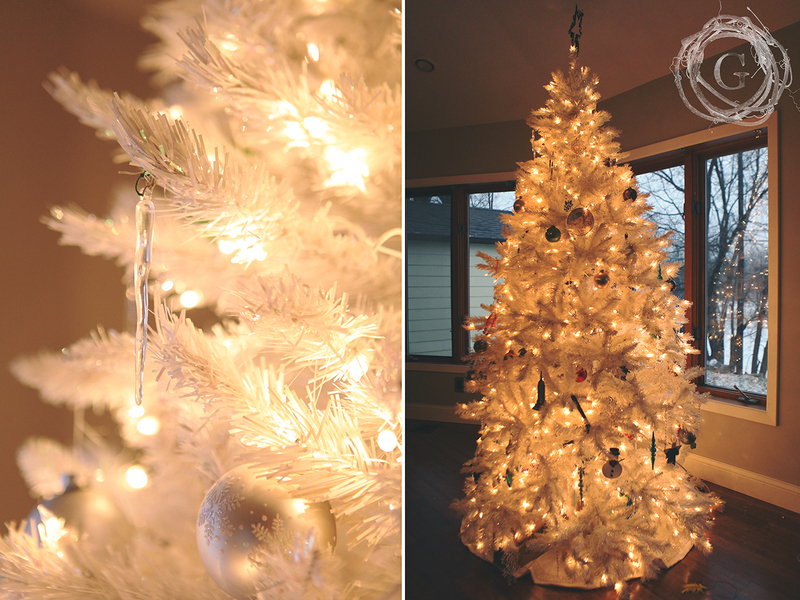 By having an artificial white tree, the family saves money by not purchasing a new tree. This tree has been used for her family for eight years and she loves the clean lines and bright color. A white feather wreath hangs at the front door, and twinkle lights go around the windows. Sticking with a mostly white and silver palette keeps the design simple, and purchases few. The only new purchase at Christmas is for one ornament that represents something the family has done that is memorable. Each year, decorating the tree includes telling the story of each of those family ornaments. 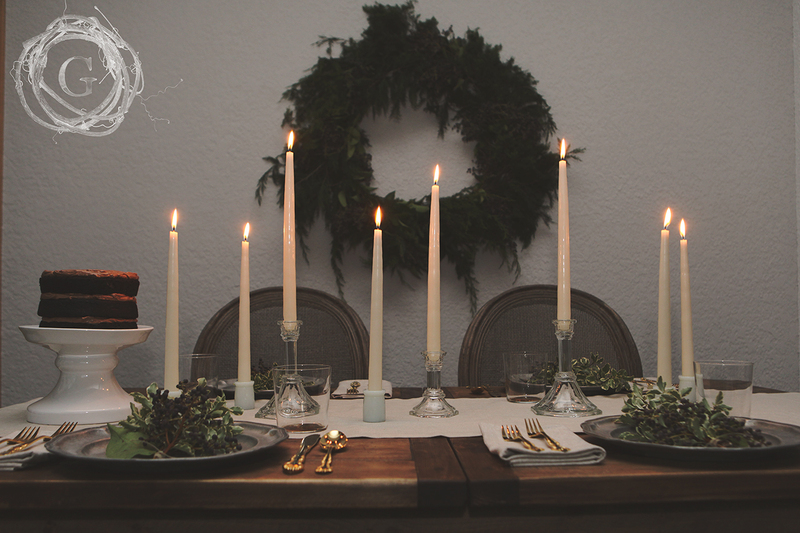 We long for creating a space around Christmas time that is warm, filled with joy, and has multiple moments of peace. That isn’t done with the color combinations we use, or how many ornaments are on our tree. It isn’t dictated to us from Pinterest or movies. We find items that represent us and use what we have to create the magic that brings this season to life. This photoshoot designed by Prairie Fair shows the combination of greenery and clean lines. It follows the primitive aesthetic of simplicity and use of natural elements. 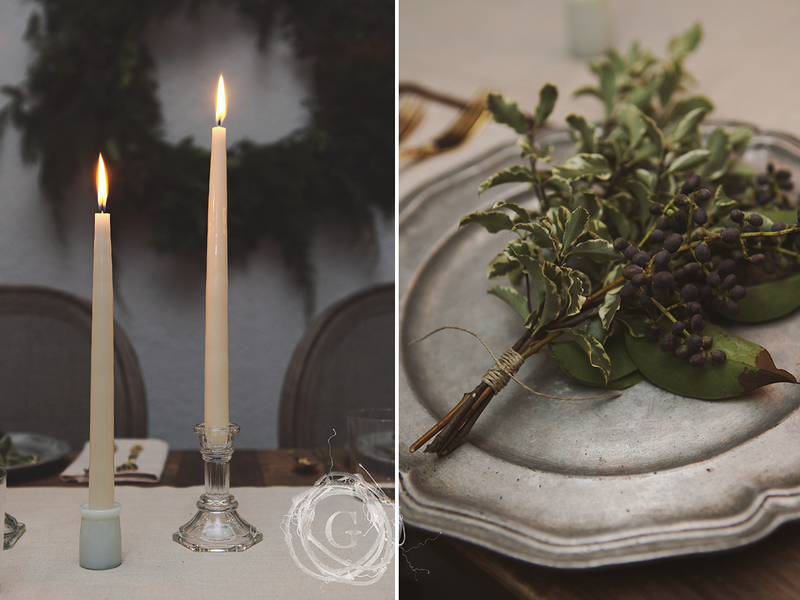 Even the most basic pieces can be combined to create a holiday look to fit your home and design preferences. It’s not about decor, its what the decor brings out in you. Hopefully that would be peace and joy and deep rooted connectedness to your family. It is about gathering together in a space that evokes the memories and traditions we want to pass on to our children.